The flushable cassette toilet is stored in its own, self contained cupboard beneath the wardrobe and is easily slid out when required. 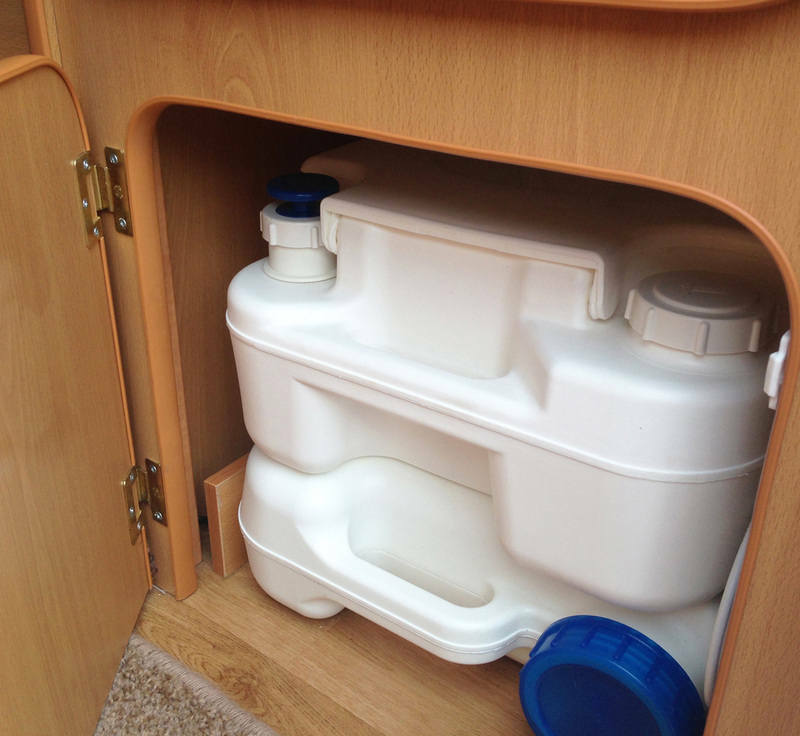 Please note, models may vary from those shown in the video but the basic operation of your camping toilet is the same. Its also possible to upgrade from the regular toilet to a taller version that's easier to use, as seen below. This should be chosen at time of ordering your Go-Pod. • Some people use their loo within the privacy of their Go-Pod by closing the curtains & blackout screens, that come as standard. 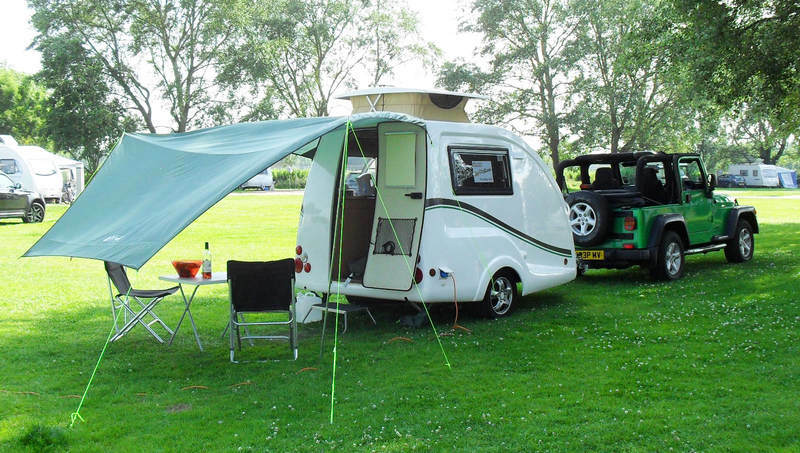 • Others position the camping toilet inside their Go-Pod Khyam awning. 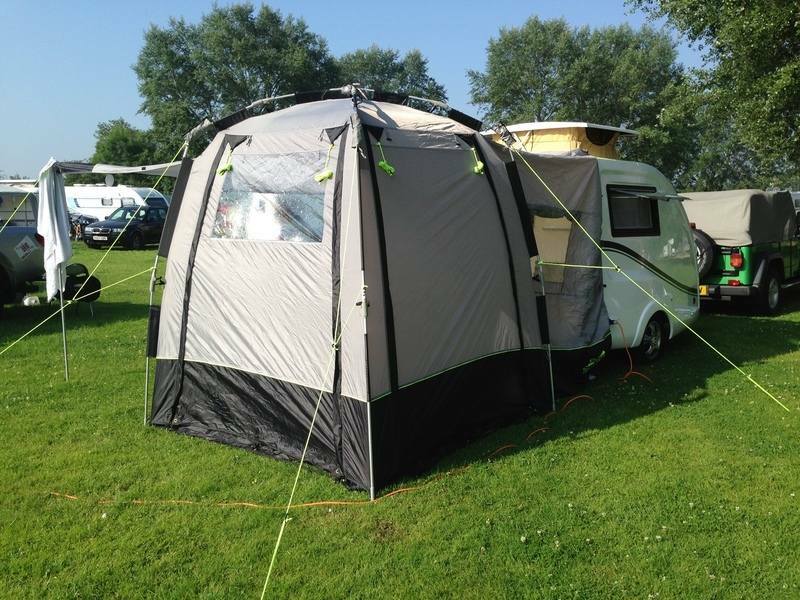 • Some decide to utilise a toilet tent sited outside - or even inside of the awning. 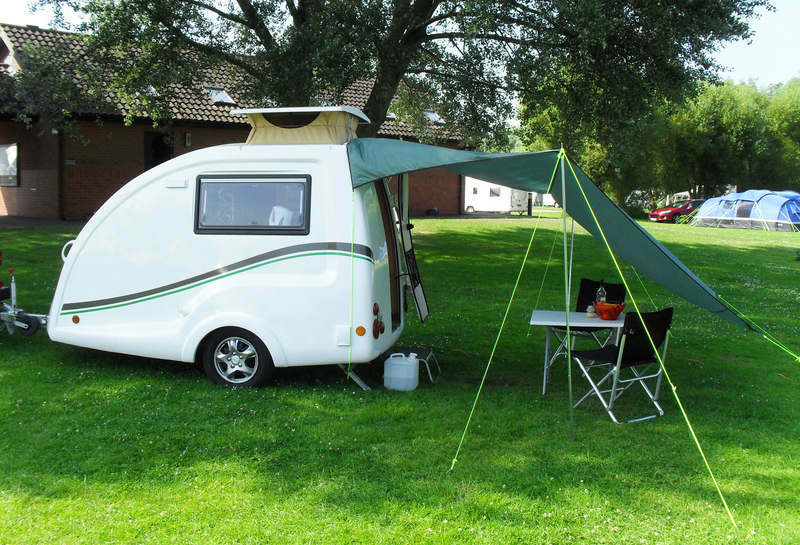 Go-Pod toilet tents can be purchased from our accessories page.